Alice, her eldest daughter Lina, and the little one, Doris Zander are fully occupied with their scam business where with the help of 1965s technologies they convince people that they are able to communicate with dead people. Lina, after being introduced by her friends to a new board game, called Ouija, asks her mother to add it as part of new stunts to manipulate with people’s beliefs and mind even more. Alice, at first, disagrees with that, but after purchasing the board from the nearest shop, the woman feels the power of it. Doris also fully participates in their game, but not in a way the Zander family anticipates. Still grieving the loss of her father, Doris, as well as her sister and mother hopes that the spirit of her father is still around. But one thing Alice did know; the power she claimed that she has, in reality, was Doris who possessed it. The scene when the board starts talking with little girl is enough to cause goosebumps to even those who cannot be scared so easily. As the story unfolds, Doris starts changing a great deal. She is no longer as kind as she used to be, and her naïve and childish mind turns into dangerous, creative devilish mind. While Alice and Lina try to figure out what can cause the strangeness that occurs with Doris, they don’t even realize the main rule requested by the Ouija board: do not play in a graveyard. It was broken before they even realized it. And by the time when they find out the whole truth, nothing can stop the Ouija board from taking full advantage of the nightmare they can offer not only to the Zander family, but even to the viewer. 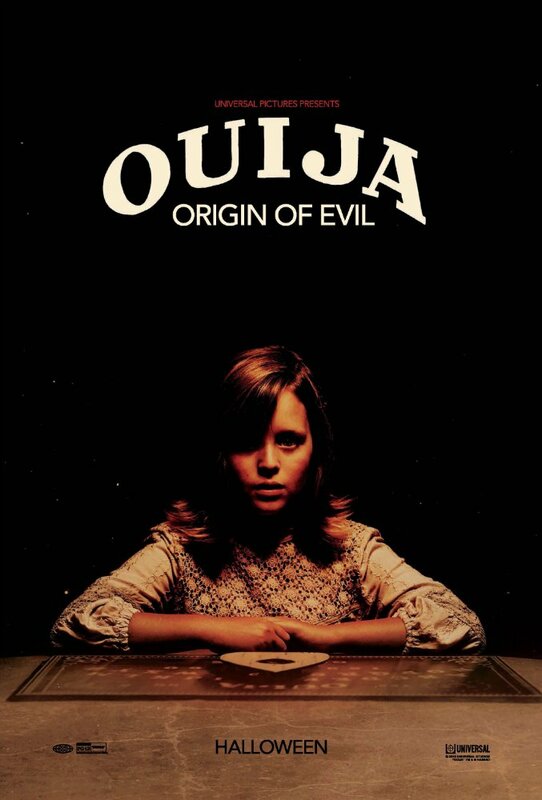 In conclusion, Ouija: Origin of Evil is a follow up story that is quite known to anyone who saw the previous part of this film. Despite being considered as a horror film, Mike Flanagan does not jump into conclusion right from the beginning, allowing his film to find its right pace. The screenplay he has co-written with Jeff Howard is clever and creepy. Anyone who enjoyed the Conjuring and Insidious will certainly be satisfied after watching Flanagan’s film. Last but not the least, I should certainly highlight the performance delivered by young and talented Lulu Wilson, whose Doris was frighteningly convincing. She manages to carry the entire film on her young and inexperienced shoulders, making me wonder, how far this little girl can go if she gets more screen time? In the end, Ouija: Origin of Evil is worthwhile seeing, which with the right moment will take away your desire to play with the Ouija board… ever again. And trust me, knowing its outcome, you will never even get close to it.